Getting great cooking results is made much easier with the Buffalo double fryer. With its independent 5 litre twin tanks and baskets, you can choose to maximise Output or reduce running costs according to demand. 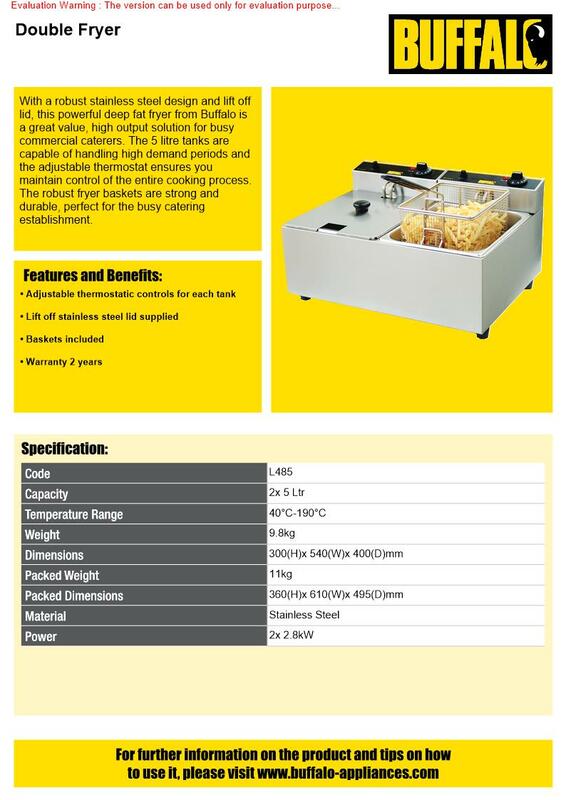 Each fryer has a powerful 2.8kW cooking element, helping to reduce cooking and recovery times. 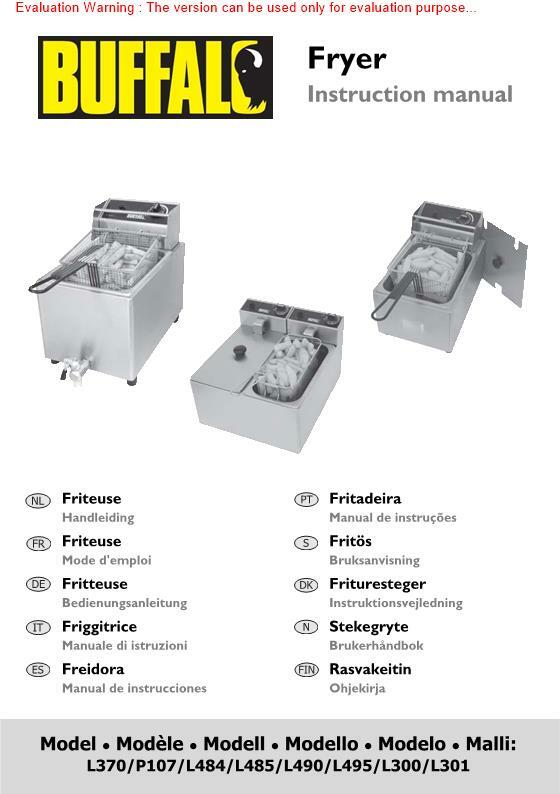 Whether youre frying chips, doughnuts, fish or chicken, the Buffalo double fryer is an excellent commercial choice. 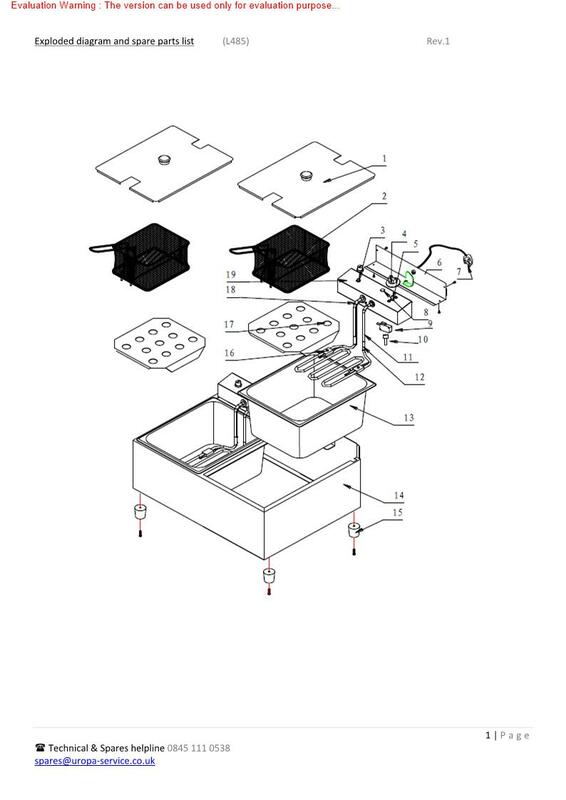 Supplied with frying baskets and lids.